Jan 29 – Feb 17, 2019. 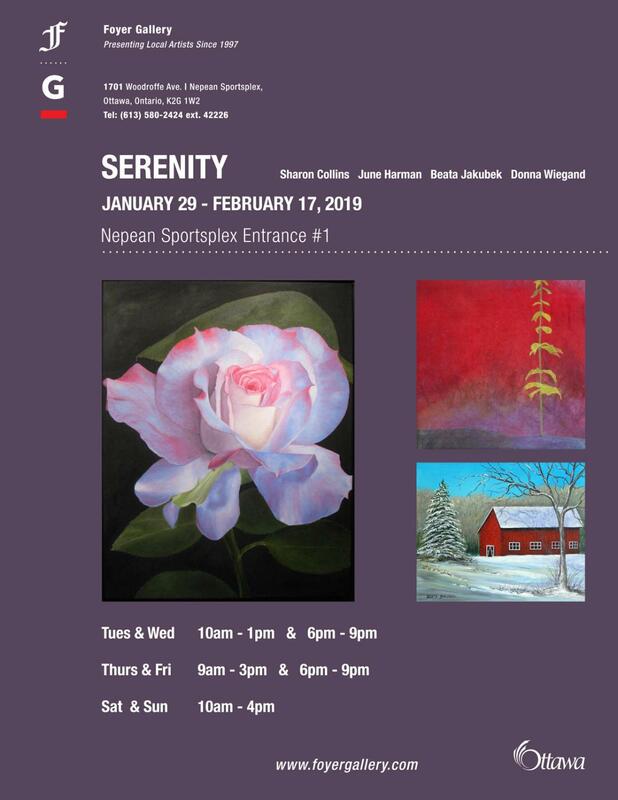 The Foyer Gallery presents “Serenity”, a group focus show featuring the works of Sharon Collins, June Harman, Beata Jakubek, and Donna Wiegand. A “Meet the Artist” show opening reception will be held on Saturday, February 2nd, 1-3 pm. We hope you can join us!